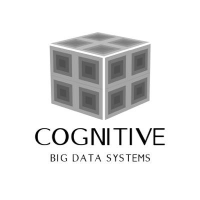 Cognitive Big Data Systems is an award-winning technology and innovation company with a commitment to stellar customer-focused software applications. Our Automated Video Analytics Engine and Autonomous Vehicle Inspection System applications ensure that our customers always have situational awareness with real-time insights from their security and surveillance cameras. These applications allow the surveillance cameras to create, store and recognize memories and generate data called video analytics. In real time, managers of large commercial and public spaces like airports, schools or business centers, can crowd-source this video analytics data from every on-sight surveillance camera. This data helps gain insights to mitigate security risks and optimize business operations. In an ever-changing world, Cognitive Big Data Systems works hard to ensure your resources and innovations will see the future – safely and securely.